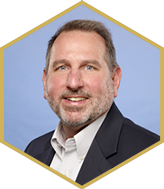 Columbia, MD - June 19, 2018 (Business Wire) -- Advanced BioNutrition (ABN) Corp., has announced today the appointment of Mr. Frank DeGennaro as President and Chief Executive Officer (CEO) of the Corporation. 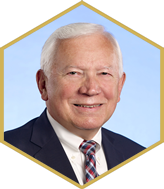 He succeeds Mr. William Kirk, who remains Chairman of the Board of Directors. Also joining the ABN leadership team is Dr. Tom Fort, as Director of Business Development. Mr. Frank DeGennaro joined ABN in 2017 as Chief Operating Officer (COO) of ABN. He brings over 30 years of experience in the agriculture and food industries across a variety of leadership roles with the DuPont Company and Perdue Agri-Business. "We are thrilled to have Mr. DeGennaro as our new CEO," said Mr. William Kirk, Chairman of the Board. "Frank's track record of building and energizing teams, and creating value make him a great addition." As part of the company’s strategy to focus on human health and nutrition, agriculture and other industrial markets, ABN recently sold its business and assets in the animal health and nutrition field. ABN is now pioneering new verticals by expanding their core technologies available from over 40 patents. ABN's research team of biologists, chemists, food scientists, agronomists, and engineers, specializes in innovation related to stabilization and delivery of a broad range of ingredients including probiotics, yeast, vaccines, enzymes, peptides, bacteriophage, vitamins, ag biologicals, and seed inoculants. The ABN team works collaboratively alongside customers to adapt the company's proprietary technologies to resolve specific product issues and formulation challenges to better stabilize, protect, and deliver sensitive bioactives. ABN's innovations enables its customers and partners to enhance their products in a way that improves performance and value. Advanced BioNutrition Corp. (www.ABN-corp.com) is a world class technology provider focused on offering environmentally sustainable and science-based stabilization and delivery solutions to a variety of industries including human nutrition and health, agriculture and food safety.